On Tuesday, U.S. District Court Judge Henry Wingate ordered all executions to temporarily halt, calling lethal injection a cruel and unusual method. Wingate is expected to give a more thorough explanation behind the decision in the next few days. Mississippi had hoped to execute inmate Richard Jordan on Thursday for a murder as part of a kidnapping in 1976. The state’s execution protocol calls for three drugs — a sedative, followed by a paralytic and then a drug to cause cardiac arrest. The protocol is similar to the one approved by the U.S. Supreme Court this year, but inmates counter that the state is lacking safeguards that other states have — such as an EKG to verify the inmate is actually unconscious. Mississippi, along with other states that still allow lethal injection, have had trouble sourcing pentobarbital due to a nationwide shortage. The other legal drug, midazolam, has been used in a number of gruesomely botched executions — including one in which an inmate gasped for the 26 minutes it took him to die. 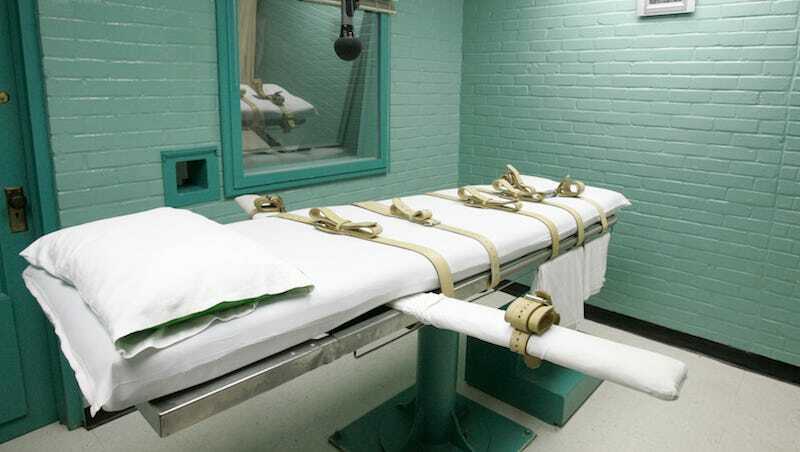 The Supreme Court ruled 5-4 that midazolam was legal to use for executions in Oklahoma. Attorney General Jim Hood publicly disapproved of Wingate’s decision: “We are extremely disappointed that the federal court has frustrated the State of Mississippi’s lawful duty to enforce its criminal sentence of capital punishment,” he said.